How do I stop inviting them into my life? After two-and-half years I didn’t know why I couldn’t move on. Aha moment today when I realised it wasn’t just that narc! I have been inviting them in to my life for so long now! How do I stop this please? If you block someone’s mobile phone can they put their phone to “silent” and still call as a private number? You cut them out period. Block every communication venue they have to contact you, because it will never stop. The same behavior like using passive aggressive tactics for your attention and then throwing some issue in your face in a passive aggressive way will always present itself. How do you recognize them though? How do you know before it’s too late? I’m in this pattern as well. Three in a row, an drew I desperately want to break the cycle without changing who I am! I tried for 8 years and now struggle to move on. Always an excuse for them to contact you. It’s medical, or their child. Or to say they don’t hate you. 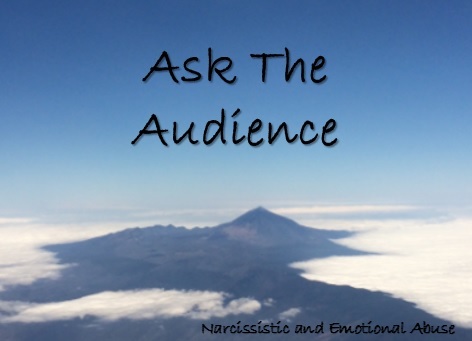 You need to learn as much as you can about narcissists and what they are attracted to. You can find YouTube videos by Richard Grannon life coach that will help you too.